Just yesterday we shared a picture of Gisele Bundchen multitasking the model way- hair, makeup, nails and breastfeeding. Seems we now have a copycat situation on our hands. 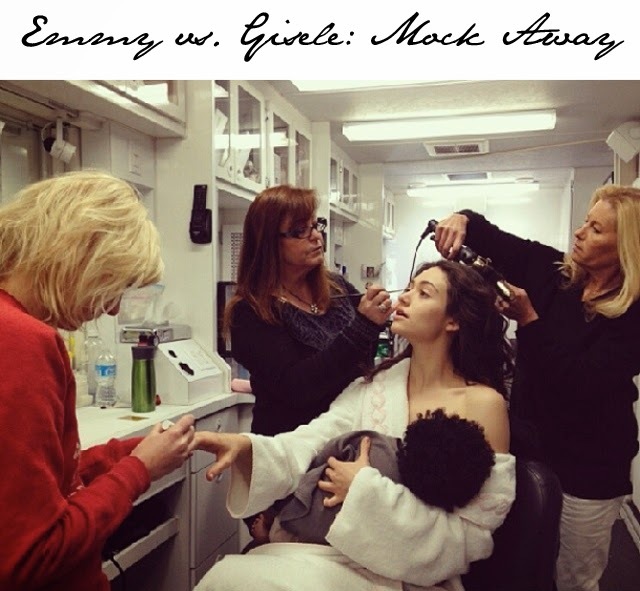 Actress Emmy Rossum took to instagram today to share her own version of the supermom scenario. She shared "Hey @giseleofficial, I feel ya girl. #kidding #fakebaby#soymilk #shameless." Is this going to become a trend, and if so who can we expect to reenact next? We're thinking a hashtag needs to start- #modelmocking ?